Alimony, also referred to as spousal support, is a payment made by one partner to the other after divorce. It intends to help the receiving party maintain the standard of living they’ve grown accustomed to and can either be court-ordered or settled upon privately. 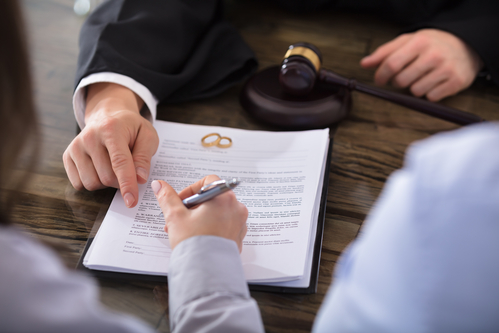 As most legal processes go, it can be complicated, which is why the divorce attorneys at Bellotti Law Group, PC, lend their guidance to clients in Boston, MA, through every stage. To get you started, they address some of the most common inquiries on the topic. Either spouse may be entitled to receive alimony. The court awards based on need without taking into account any fault presented as the reason for the divorce. However, marital misconduct may play a role in determining the amount and duration of the financial support. How Does a Judge Decide Whether to Award Alimony? In Massachusetts, several factors must be taken into consideration when deciding if alimony should be awarded. This includes the length of the marriage, each person’s income, the age and health of each partner, the couple’s lifestyle when married, their employment and employability, as well as their economic and non-economic contributions to the union. There is no specific formula for calculating alimony under Massachusetts law. However, it does stipulate that the award shouldn’t exceed the recipient’s need or 30 to 35% of the difference in earnings between spouses. If a judge deems it necessary to divert from these regulations in special situations, they usually have the discretion to do so. If you believe your needs require a higher amount, your divorce attorney may put together a compelling argument on your behalf. When Does the Support End? Typically, the length of time alimony lasts will largely depend on how long the couple was married their individual income. The courts will also take into account if one spouse has been outside the workforce raising children for a significant period. A recent revision to Massachusetts law now states that alimony will end at the time of the payer’s retirement. Further, payments may be suspended, reduced, or terminated if the recipient enters into a cohabitation relationship. Whatever your financial goals, it’s important to work with an experienced divorce attorney who can assist you in securing your future. The team at the Bellotti Law Group, PC, offers unparalleled legal counsel and will protect your rights and help you reach the fairest settlement possible. Contact their office at (617) 778-1000 to schedule a consultation, or visit them online for additional information on the family law services they offer.